For me, tv is often a way to block out those damning voices Katharine talks about, and sometimes I think of it as a way to escape the unrelenting frustration that pops up like those rodents in Whack-A-Mole–I can just ignore them for awhile, let them all pop up unchecked, maybe they’ll even knock each other out with their incessant bubbling about. I doubted that he was right. I also doubted that I could own up to such a love. But more recently (months and months after the advice was dispensed), I’ve started saying it out loud, I’ve started talking about this escape–The Office, my tela novellas, my addiction to period dramas. This made me realize that the enemy is not netflix (as I’d been side-eyeing and growling for more than a year). I have started watching less tv since I’ve started talking about it, and since I started talking (writing) about my depression a few months ago, it’s felt a little less powerful, too. Naming really does work. Naming sin and struggle really does break evil up into shards. I don’t think that starting to talk about it has made my depression let up at all, nor has it made it any easier to get out of bed, but I do feel like I don’t have to wear a mask–oh, us Duke girls and the mask we are so good at putting on. 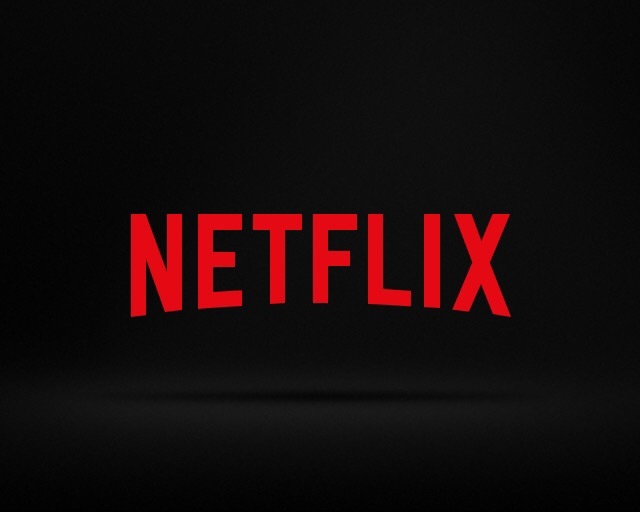 The energy I’d been wasting hating on netflix, wondering if I should cancel the subscription, feeling powerless to the bright red box (my nails even boast the familiar red at the moment), I can now use to hate on the real culprit: mental illness. Comparison is indeed the thief of joy. Maybe it did used to be easier for me to tell the truth again and again against voices and walls built up to the contrary, maybe I didn’t used to struggle so with the shortness of a day or with the reality of atrophy, but now I do. 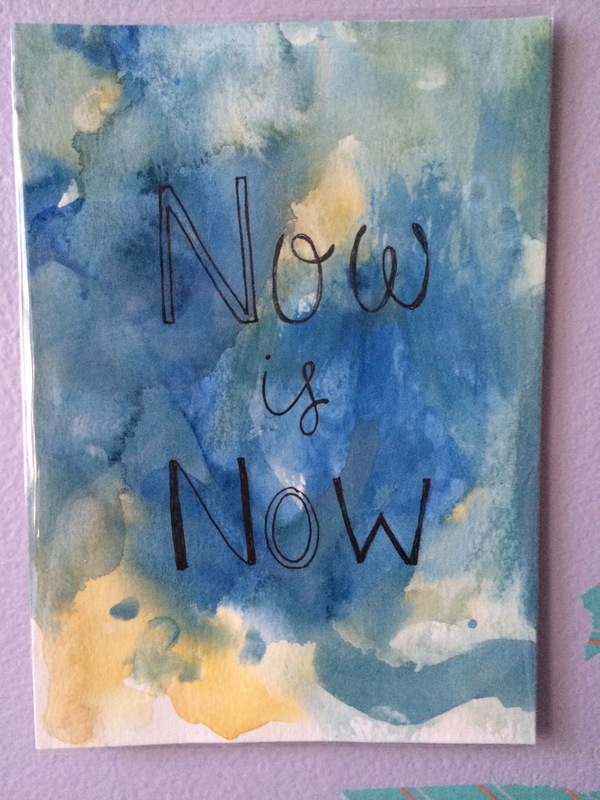 I have a piece of art above my desk that reminds me, “Now is now.” All we can do is tell the truth now. For almost a year, I couldn’t say out loud–or say “out loud” on the internet–that I am depressed. This is the truth. I am struggling to hope. All we can do is tell the truth now. The truth now is that I know my Redeemer lives, and he will bring me with him on the last day. This entry was posted in darkness, depression, mind - body, spirituality, Suffering, Television and tagged courage, darkness, grace, mental health, mental illness, patience, prayer, television by Emily. Bookmark the permalink. You have made such a meaningful impression on so many and brought them to God in such a special way that your value is incalculable. Please know you are in our prayers and we stand with you no matter what. Amen. I had seen this last night. We all struggle with elements of depression so we shouldn’t judge but at the same time, I do hope she’s receiving counselling. Thank you, Des, for your concern. I have been seeking many forms of professional care for several years (no need to use third person either!). I disagree, however, that everyone struggles with elements of depression; part of the vocation of a writer is to use written words to speak to common, but not universal, experiences. This art is meant to help others to understand situations they haven’t experienced, and to help those who are struggling to voice their demons to have words to use or places to point. Thanks for sharing, I have struggled with this same thing for years, and have been fighting. I understand first hand about those voices that are lies! Keep choosing to not believe them and tell your self the truth. Take your thoughts captive as it says in 2 Cor. 10:3-5 says along with some other great stuff to help you through. I love that you are willing to write about it. It is going to help you and others as this battle gets fought and you will win eventually! I will be praying for you! Sorry, Corinthians, I had Romans on the brain last night! For, this is truly not a “worldly war”. catharsis as the unvoiced becomes voiced and takes on a form of its own. Hi Emily! I popped over here from ABAL. I love this post and the honesty you bring to the table about depression. As someone who has also suffered from depression (at times extreme – I can totally relate to the relief found via netflix :), it is refreshing to read. A little over two years ago, in desperate effort to get better, I began searching for natural things to help with my depression. One of them I discovered was vitamin D3 supplementation. And I was very surprised by the result I had! Maybe you already do this. But it has made a HUGE difference for me, for both depression and anxiety. I would say it has cleared both of them up nearly 95%. I take about 5,000 IU of D3 daily and have myself tested about every 4 months. Every time I test, I come in at an acceptable range. Initially, I had been extremely, dangerously efficient. It’s important, though, to pair larger doses of D3 with vitamin A (which you can get naturally through spinach, carrots etc.) and K2 (can also get this naturally in spinach and grass fed butter, as well). http://www.grassrootshealth.net has been a great resource for me. They have tons of scholarly research on the topic and they even have a handy little chart to help you figure out how much D3 you should be taking, based on your levels. Like I said, you may already know this or have given it a try. I thought I would pass this on, in case this is new news for you :). Praying you find some relief!